New Zealand's largest-ever roading project made a giant leap towards its projected completion in 2017 when Alice, the tunnel boring machine, broke through at the northern portal at Waterview at the end of September. Now that the breakthrough of the first tunnel – which will carry the southbound lanes – is completed, the task at hand is to turn Alice around 180 degrees before she can start her southbound journey, boring the northbound tunnel. With Alice waiting in the wings prior to her next star performance, the NZ Transport Agency and its Well-Connected Alliance hosted an event allowing the media and invited guests the opportunity of viewing at close quarters the extremely tight space in which engineers have to work in to turn the machine around. The turnaround viewing was held in what is to become part of the fume extraction area for the north and southbound tunnels which will be 2.4 kilometres long and form an integral part of the Western Ring Route. With Alice weighing in at around 3100 tonnes and measuring 88 metres in length, engineers don't have a lot of space to execute the 180-degree turnaround, which will take five months. The amount of space between the giant cutting head and the surrounding structure equates to 500mm on either side in places, so in order to carry out the shift, the machine will be disassembled in much the same way as wagons are disconnected from a train. reassembled in order to start boring the second tunnel in a southward direction. When completed, this will form the northbound tunnel. 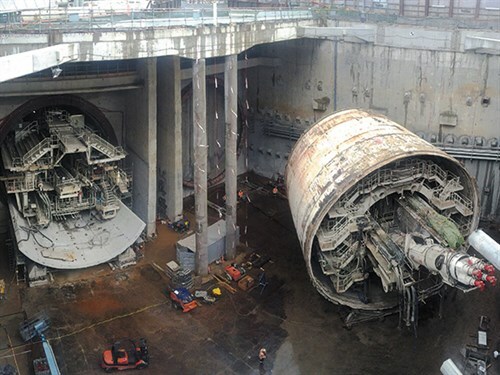 Due to an initial restriction of available space, the first 300 metres will need to be drilled using a modified machine until sufficient space has been created to assemble the entire structure of the machine, before going on to complete the second tunnel. Master of Ceremonies, New Zealand Transport Agency's chief advisor of engineering assurance Peter Spies, told guests that when he arrived in this country 17 years ago, he never imagined that he would be addressing an audience on such a momentous occasion. At that time, a project of the size of the Waterview Connection could hardly be imagined, much less due to be completed in a couple of years. Spies also paid homage to the great spirit of 'Kiwi ingenuity', explaining that 200 litres of lanolin extracted from sheep's wool will be used to assist in sliding the huge cutting head and shield into position. When connected, the Northwestern and Southwestern motorways will provide 47 kilometres of seamless motorway travel between Manukau, south of Auckland and Albany to the north. 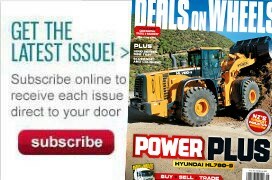 In keeping with tunnel boring tradition, where each tunnel boring machine (TBM) is given a woman's name, a competition to name this particular machine, which incidentally is the tenth-largest in the world, was won by Auckland schoolboy Branden Hall, who was among the invited guests at the turnaround party. 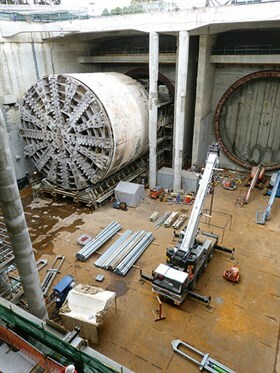 Alice's breakthrough marked the halfway point of the tunnelling part of the project, in which the machine places precast concrete segments in position once the cutting head has bored the 14.4 metre-diameter tunnel. The Well-Connected Alliance is comprised of the NZ Transport Agency, Fletcher, McConnell Dowell, Tonkin & Taylor, Beca Parsons-Brinckerhoff and Obayashi Corporation, sub-alliance partners are Auckland-based Wilson Tunnelling and Spanish tunnel control specialists SICE.